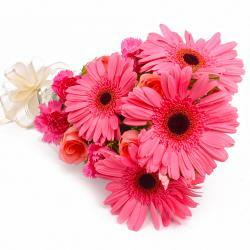 Product Consist : 10 Pink Seasonal Flowers like Pink Gerberas and Pink Roses in Cellophane Wrapping. Have a look at this spectacular bunch of blooms that is all set to make the day bright and happy for your loved ones. 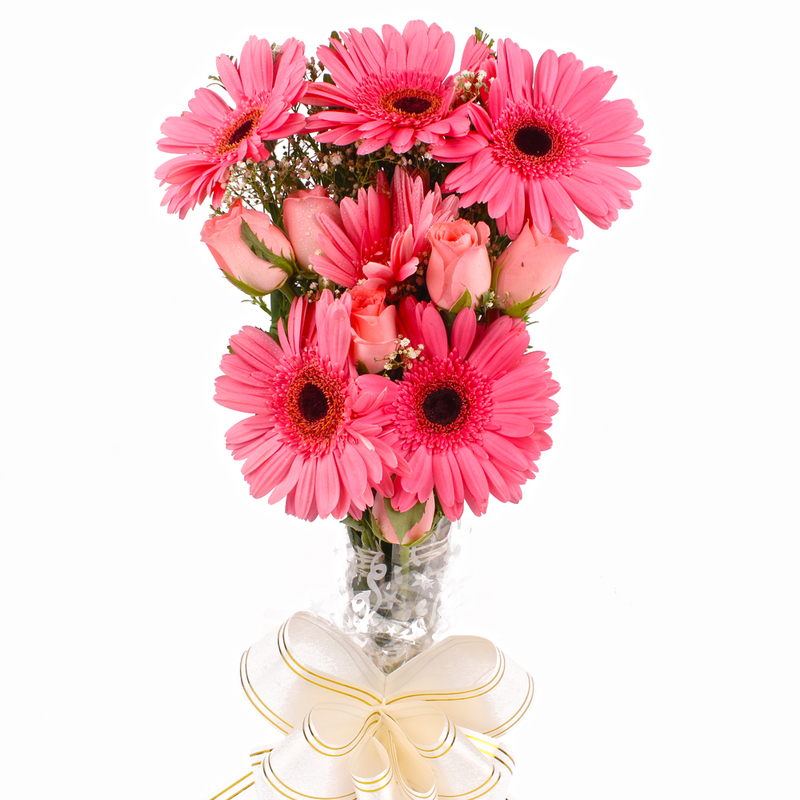 These Pink Gerberas with Pink Roses long stemmed that are exquisitely tied in a bunch with a matching bow tied ribbon are not just a mere gift to send best wishes, but they are also a stunning sight to behold. 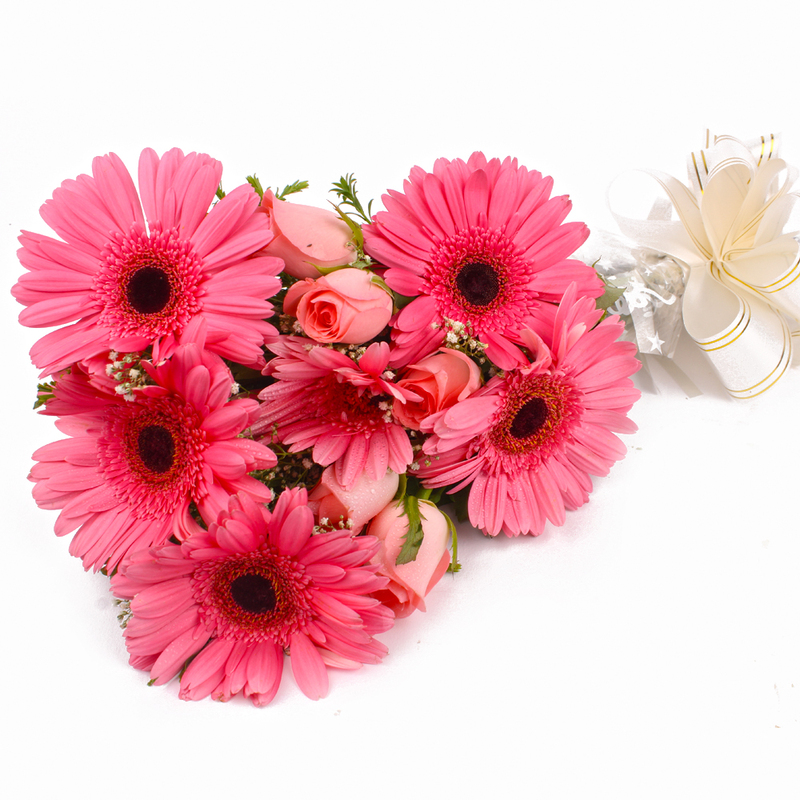 You can send this extraordinary bunch of vibrant Pink Color flowers to dear ones on special events like Birthday, Anniversary, Independence Day, Thanksgiving Gift, Friendship Dayand so on. 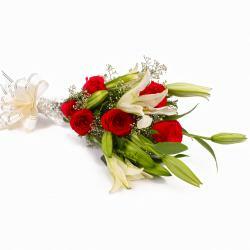 So go on and give them a reason to smile by sending them bunch full of love with these heartwarming Bouquet. 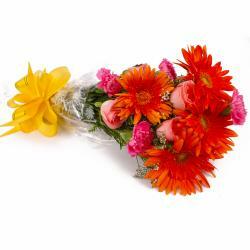 Product contains : Ten Pink Seasonal Flowers like Pink Gerberas and Pink Roses in Cellophane Wrapping.